Public health emergencies are caused as result of threats such as storms, tornadoes and power outages and also may be of biological, chemical, or radiological disasters. Although each one is different and requiring unique responses, preparing and learning about public health emergences can help equip and protect your family. Threats strike when they are not expected and because of this, preparation is the way forward in this kind of disaster. Families may or may not be in the same place when this happens. Planning together as a family is a step ahead of time. Looking at how you intend to communicate when an emergence occurs and types of disasters common in your area and what each member should do is very important. You may consider keeping some essential supplies on hand for emergences for example drinking water, dry or canned food, a battery-powered radio, flashlight and batteries, first aid supplies, prescription medication, special items for babies and members of the family who have special needs. Check these from time to time to make sure that the expiration date for your supplies such as foods has not passed and things like batteries and flashlights are in working order. 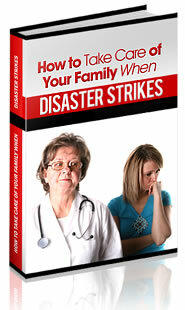 Learning more about these disasters, diseases, treatments and how these may affect your family is a big step. Government web sites are a very good source of information on public health threats or emergences. You may also ask your employer, school and day care facility if they have developed emergency plans. Contacting your local heath department can help you get involved and learn more about community planning efforts. Should an emergency arise, always be alert by tuning in to your television and radio news stations for emergence messages and important safety instructions from government authorities. Officials on the news give instructions on where emergence sites are located and how to get there and who should go. During this time, it is very important that you bring for each family member medical records that contain picture id, current medications and allergies and current age and weight. Read up on key terms such as isolation, quarantine, sheltering-in-place and evacuation. Training a family member in CPR / First Aid is quiet helpful. It is better late and ready by 5pm today than be done unawares by noon tomorrow.